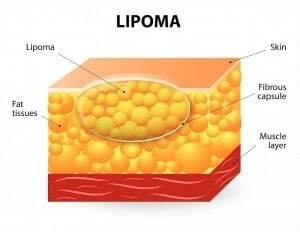 Lipoma Dissolving Essential Oils - Get Rid of Fatty Tumors! In late February, a client from 2009 called for a clinical (medical) aromatherapy consultation. She wondered if essential oils dissolve lipomas? She had 2 lipomas growing on her arms. 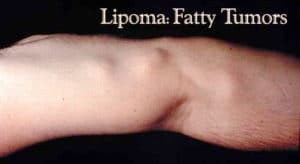 (Lipomas are non-malignant fatty tumors…often genetic, her mother has them, too.) One was getting sore to touch…worrying her. Essential Oils for Lipomas…. or the Traditional Medical Surgical Approach? ~ To live with them, if they aren’t uncomfortable (as weirdly unsightly as they are). 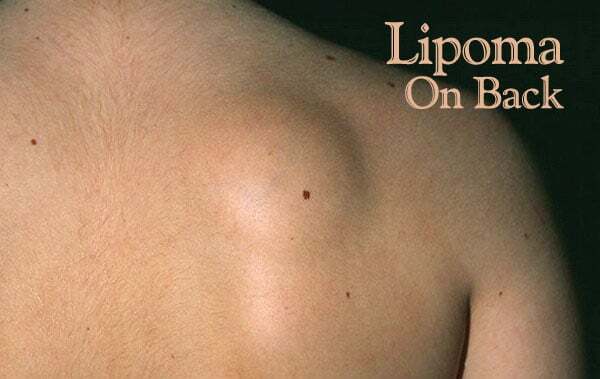 ~ OR to do surgery leaving ugly scars….and more often than not, the lipomas grow back in the same or near by location. After watching some YouTube videos on lipoma surgeries, my client decided that option was definitely NOT for her, prompting her call for this consultation and request a custom formulated essential oils remedy to dissolve fatty tumors. I researched fat-dissolving essential oils, compiling a list of seven, including Grapefruit (of course!) and Patchouli, among others. With my client’s permission, I dowsed for which essential oils would benefit her body’s ability to heal the lipomas, selecting 6 of the 7 essential oils for a custom blend. I then created Lypos™ a 10% dilution strength using organic virgin coconut oil as the carrier. Both my client and husband, liked its Earthy – Spicy – Fresh Citrus fragrance. She called two weeks later, thrilled with this natural lipoma treatment! The lipomas had become smaller. The painful one wasn’t sore anymore. 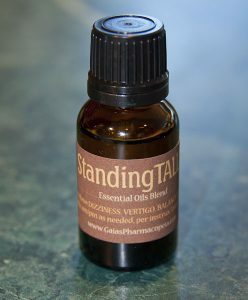 My client had been faithfully applying our custom essential oil blend morning and evening. LOVES the relaxing aroma and is very optimistic about the outcome. She thinks I’m a miracle-worker / healer. I think she’s a sweetheart… receptive and willing to use nature’s incredible holistic remedies. I feel honored to do this work. If you’re looking for a convenient, premixed natural lipoma treatment, purchase Lypos™ at our Essential Oils Store. Do you still sell Lypos? If yes, how do I purchase? Hi Kathy ~ Thanks for your inquiry. YES! We do sell this essential oil blend. You may purchase Lypos from our on-line store. My husband has lipomas on both sides of his face just below his eye. He plans to have them removed in January by a dermatologist. Would this be safe for the face? I’d love for him to be able to avoid surgery. Hi Chris ~ Absolutely! Lypos™ is completely gentle and safe for use on the face. However, the effects won’t be instantaneous (ie. the lipomas won’t be gone by January 2017). Depending on how large his lipomas are and how long he’s had them, it may take his body some time (several months or more) to dissolve the lipomas with daily applications. Would your husband be willing to put off surgery for awhile? 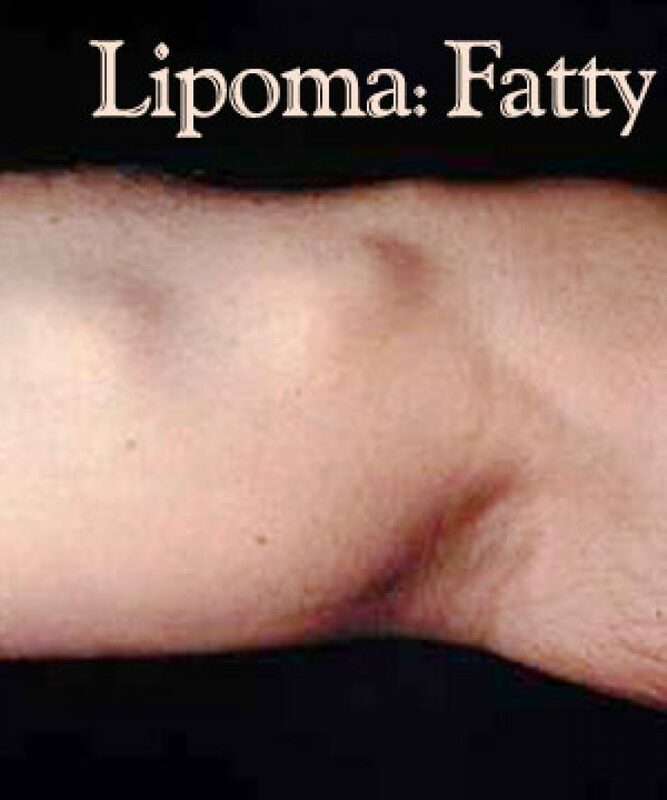 The problem with lipoma surgery are the scars plus I’ve read lipomas often return to the same site. Hi.I would like to buy this product.Can we see product and ingredients?I can’t find it.Thank you. Hi Sandra ~ Thanks for your inquiry. YES! We do sell this essential oil blend. You may purchase Lypos from our on-line store. Question…are the essential oils in this Lypos product organic? Natalie ~ Thanks for your question. The essential oils in Lypos™ are pure steam-distilled clinical (medical) quality for their health supporting attributes. All are purchased from Young Living Essential Oils and Nature’s Gift. The jojoba carrier oil is organic. The term ‘certified organic’ does not guarantee an essential oil will retain its healing chemistry, if the distillation process isn’t targeted towards that purpose. 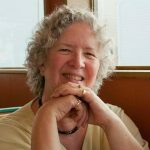 You may read a very thorough discussion of what organic does / does not mean with regard to the aromatherapy industry in this article. Is this safe to use during breastfeeding? Shannon ~ The recipe contains minuscule amounts (.04%) of two essential oils (peppermint and sage) that are recommended to avoid during pregnancy and on small children. Would you be using the blend near your breasts? If so, caution may advise against it ’til you finish breastfeeding. If you would be using the blend at a distance from your breasts, then your body would serve to dilute those oils to the degree they would be inconsequential. 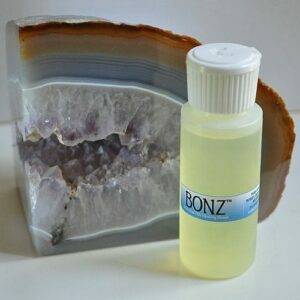 hi, i would like to know, how i can get this Essential oil in Australia , India. Ali ~ Thanks for your inquiry. We mail internationally, but have to charge shipping for all orders outside of the continental USA. If you email me the Australia / India addresses, I can estimate the costs for you. Hi – thanks for interesting info. Curious why Patchouli is in your formula and how you decided on Young Living and Nature’s Gift oils over other brands. 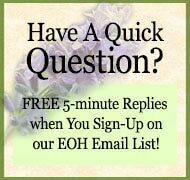 Hi Joan ~ Young Living oils were my introduction to essential oils. Used their EOs exclusively for almost a decade. Gary Young, YLEOs founder, was passionate about nature’s healing plants and studied internationally with various experts. Over the years, he refined the distillation equipment, process, and learned how to cultivate these medicinal plants to maximize their healing properties. Nature’s Gift is committed to quality oils. Has been in the business since the early-to-mid 1990s, so aren’t newbies. Though I don’t always agree with their owner’s ideas about how to use essential oils for healing (plus she’s very anti-YLEO)…the products they carry are good and reasonably priced. Patchouli is anti-inflammatory and antitoxic. A natural healing function of our bodies is to encapsulate toxins in fat, lumps, tumors. My sense is a factor of lipomas may be a ‘protective’ immune system response. Patchouli is excellent for the skin, tissue regeneration, cellulite, weight loss. It also provides a base note to the blend. My philosophy in creating blends is to find a synergy between the essential oil ingredients to improve the healing support the blend offers our customers’ immune systems. Would this product be effective on cellulite also or just lipoma? Myriam ~ I don’t know if it would work for cellulite? It’s possible…since the oil blend is fat dissolving, but cellulite generally occurs in large areas…so you’d have to use a lot. Would this work on a lipoms my dog has? I`m curious about dog lipoma oil blend, too. Can you please post reply her, Ms Cynthe. Thank you. Ivana ~ I already have…in my reply to Mary. You may read it there. Thanks for your interest in natural remedies for your dog’s well-being! I saw Sandi’s question about lipoma on dogs ….but your answer was “Hope you received my email reply…” and that doesn’t help me. Can I use Lypos on her? We have a new customer in Singapore, who has just ordered Lypos™ this week for her 11yo dog with a lipoma that’s been removed twice with surgery and has returned both times. She doesn’t want to put her dog through surgery again. We’re both hopeful that this will work for her dog. If it does, we’ll post her product review. Hi.Can you list ingredients please,so I know can I buy your product?Thank you. Nisa ~ Our essential oil formula is proprietary (private)…like perfumes are, developed from my personal research and knowledge as a clinical (medical) aromatherapist. If there are ingredients which you are allergic to or have health issues with, I’m happy to let you know if those ingredients are in the formula. I’m curious about your essential oil blend for Lipomas. If I do make this purchase… How many bottles will it take to start seeing results, if any at all? I have several Lipomas and I’ve tried everything from Turmeric, iodine and some essential oils like Frankincense. This oil is very expensive for me and I want to make sure I’m investing in something that may actually work. These are just my honest conecerns. Samuel ~ I understand your concerns as there are few to no effective, non-surgical, solutions for lipomas availble. One jar of Lypos™ lasts 1-2 months for most customers depending on how much they use and how many lipomas they have. It is not necessary to use a lot, just enough to spread over each lipoma rubbed into the skin. IF this formula is effective for you ~ unfortunately, it does not work for everyone, you will be able to notice a difference by the time the first jar is used up. The sort of differences might be: reduction in diameter and/or height, a change in texture. I always advise trying just one jar first, to see if your body responds well to the formula. We have quite a few repeat customers, who are experiencing results in reducing their lipomas. Thanks for your interest in our naturally healing products.